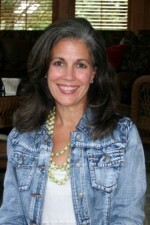 If you are visiting from Sharon Glasgow’s Encouragement for Today Devotion, welcome! I am so glad you stopped by. Today I’m posting this video invitation as a reminder that our new on-line Bible study, Quiet My Anxious Heart, begins one week from today! As I said earlier, announcing new studies is one of my favorite parts of being a Bible teacher. So that makes today one of my favorite days! 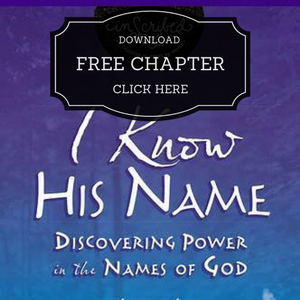 share practical tools on how to have an effective daily quiet time with God. teach you how to read God’s Word in a way that will make it applicable to your every day life. leave you with a Thirty Day challenge to apply what you have learned. I am so looking forward to meeting here with you each week to discover what God has to teach us through the lives of these two amazing women. I have prayed for every woman God will bring to this study. I hope you are one of those women! 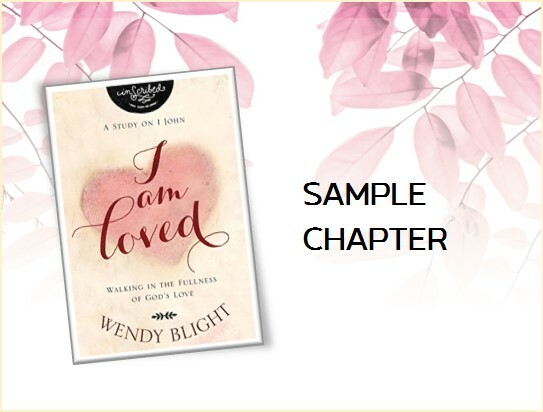 To register, simply visit the right side of my blog and click on “Sign up for Wendy’s On-Line studies.” Place your e-mail address in the box and click “subscribe.” Doing this registers you for this study and ensures you will receive invitations for all future studies. If you have registered for an on-line study in the past, you do not need to re-register. If you would like to receive the weekly posts for the on-line study in your inbox, visit the side of my blog again. At the top of this sidebar, you will see ”Subscribe to Updates.” Place your e-mail address in the box and click “Go.” Each week you will receive an e-mail with the post for the week. It is important to note that to view the video, you will need to visit the web site directly. You may do so by clicking on the title of the post in the e-mail. And please share this study with your friends. We have placed a button on the side of the blog that you can grab if you want to share this study on your blog. Simply copy and paste the link. 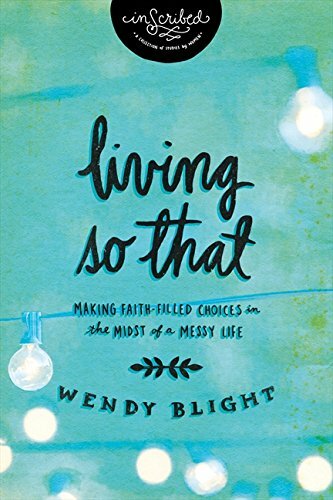 Also, if you have not joined Wendy’s Street Team, we now have a link on the right side of the blog that says, “Join Wendy’s Street Team.” This Team will be an important part in helping participate in and promote my new Bible study that will be published by Thomas Nelson in February 2014. To learn more or to sign up, simply click where it says “Click Here.” I will share lots more about the new Bible study in weeks and months to come! So excited you will be back!!! Always enjoy your comments, Heather. Look forward to you sharing your thoughts with us. Perfect timing! Just finished the Proverbs study…looking forward to this one! Me too, Jill. I am thankful you will be back to join us for another study! Cant wait either! Finals from school will be over and I will have nothing to do but focus on God’s message. Yay! You sound like my daughter. She is so ready for her exams to be over. She has one more on May 7th!! I am going to try this one, it will be my first. Iris, we love having “newbies.” We have an amazing group of women, and I know you will enjoy getting to know them! Me too!!! I always need a refresher message from God on the subject of busyness and the call to sit at the feet of Jesus. Dear Wendy : My name is Marian Retana and I ¨m from San José,Costa Rica. I´m so happy for this bible study. I´m sure it would help me , because I´m a very ansious person and I know I need to learn to depend and trust the Lord. I know he has everything in control. Can´t wait to start the Bible study. Thank you for your disposition and time. God bless you. Marian, how fun to have a friend from Costa Rica!! Welcome. You will make lots of new friends. We have a great community of women who learn so much from each other. I am excited to join in on another journey through the Bible! So excited to have you, Sherri! I am trying my first one too. Melanie, we love having new women join our group. Praying now God will do a mighty work in your heart as you seek Him in this study. 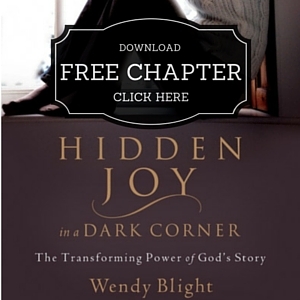 Hi Wendy, i just discovered your blog and am so excited to join your new upcoming study Quiet My Anxious Heart. 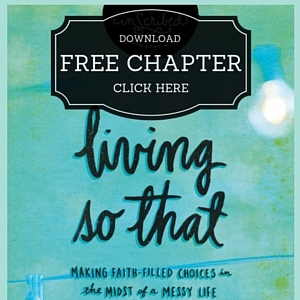 Every point you will be covering in this study is just what my heart needs right now. Thank you – can’t wait! Welcome, Kim! I love this study because even though it is short, it is packed with powerful truths from God’s Word that will bless and speak to all of us! Perfect timing. Looking forward to this study. Excited to have you back, as always, Sheila! I’m looking forward to joining the bible study. This will be my first one with Wendy. I’m sending the link to several of my friends. Hoping to share the joy. Thank you! Nanci, we are excited you want to join us, and thank you for sharing this study with your friends!!! I’m so excited to be starting another one of your Bible studies. Your are such an blessing. Every time I watch one of your videos I can feel the Holy Spirit. Thank-you for ministering to me and so many other women and encouraging us to not only read God’s Word but to seek Him and truly get to know our Savior. I’m sending the information to my sister in Indiana and praying she can join me and so we can do this together. Donna, so happy you will be back with us for another study! Thank you for your sweet words of encouragement. I LOVE teaching!! And praying with you your sister will join us…how fun to do this with a family member!!! Thanks for sharing it with her. Can’t wait to get started on this. I really am too anxious! I thought your study started today! I am looking forward to Weds. when we get started together. Thanks, Wendy! Excited for this study Wendy. It has been awhile since I have done one of your online studies. So good to be back! It is exactly 3 weeks until school is out, so this is excellent timing. CONGRATULATIONS on your Bible study being published with Thomas Nelson. How exciting! I am so happy that I got this email today. I have been feeling so tired and weary and just as you said I was thinking I needed more sleep. But I realize that’s not what I need. The Holy Spirit lead me to this page. I am looking forward to this study. I am so excited to start this study! 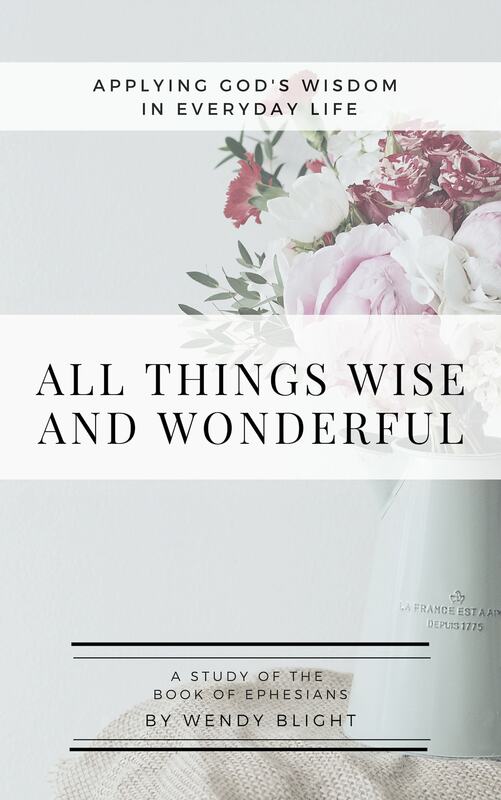 I definitely have an anxious heart that is in need of some serious quiet time with the Lord (which is difficult to do with 2 busy young kids and starting a new phase in my life after completing my masters degree). Thank-you for your prayers and time- you are a well-timed and much needed blessing! Hello Wendy. I am new to the bible study and I learned about it from your devotional on today. 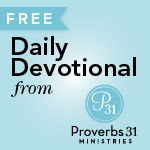 I make it a point to read the devotionals on Proverbs 31 every morning. I learned about the Proverbs 31 ministries from reading Unglued during a bible study held at one of my local churches. I attended with my mother and was so impressed by how much I actually related and felt understood and motivated to dig in the word of God. 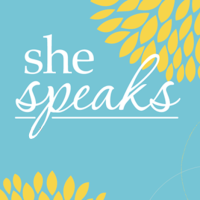 I then began to research the Proverbs 31 ministry and came upon the devotionals and I fell in love. I am a newly wed mother of 3(tiwn girls that are 5 and a one year old son). I am so busy with the everyday tasks of motherhood and marriage that I rarely stop and spend one on one time in my word and listening to God. I have been so tired and stressed and feeling so misplaced lately.And I to thought that i needed more sleep or to get a new hobby.But not once did I stop and think that what I needed was some good ol fasioned QT with the lord and his word,until I read your blog this morning and joined your bible study. I enjoyed the first lesson am eager to get home to do my homework and dig deeper into my word. This was definantly god sent and Im so happy the holy spirit led me to this!!! I have been so busy in my life lately that I rarely have time to read the daily devotionals! I have been faithfully reading them since the beginning of this year but have tapered off this last month from being weary with all of my responsibilities as a woman of God, a wife, mother and friend & more!!! I downloaded this book as a FREE borrow from the Kindle Library. Every time I attempted to read it I never got very far, never past the first chapter and still have not read it!! Well God is taking me through a season of growing (which has been so very hard) and just yesterday I was able to sit quietly and read an article in a Christian Ministry Publication that I receive in the mail. It was about building an intimate relationship with God and learning to SEEK Him! God has been speaking to me about focusing my attention on His Presence instead of trying to organize and mark off my daily checklist to gain control of my life!! He also says to relax in His sovereignty, remembering that HE goes before me, as well as with me, into each new day! I desperately need to learn how to rest in Jesus and come in from the weariness!! I have never taken an on-line Bible study but I am certainly blessed by what you are doing here as well as in the Daily Devotion you wrote today!! Thank you for praying for ME! I am subscribed!! Opened the devotion today and realized it was written to me. A “sandwich” generation women. Alzheimer’s dementia stealing away my sweet mama a little each day, a daddy grieving for his sweetheart of 60 years, a busy career, church responsibilities and commitments, and the joy of six energetic kindergarten and under grandchildren.Suffering from a chronic case of John Ortberg’s “Hurry Sickness”. I am blessed with a patient though somewhat neglected husband. I need this study. I am a Martha. I want to be Mary. Looking forward to the study. Hopeful I can make the time to commit to it. I am doing the Stressed Less Living study and saw this study. Not sure if I can do both. But i think this study will give me the tools to rest and not stress. My heart is full ofGods blessojngs but i so quickly forget. I get short tempered so easily. Thank you for this study andwords of encoragement. I want. My time with God everyday to be a sweet reunion. I’ve become so much closer to the Lord, and I don’t want to lose that! I’ve been at that place before and every time I say the same thing. So I ask that you sweet ladies pray that I never lose sight again AND that I spend more time in “reading and understanding” God’s precious word. I’ve gotten into such a bad habit of thinking that just reading scripture and devotions here and there online are enough……..and I KNOW it is not. God Bless you Wendy!! Thank you so much for this study! I am very glad to be a part of this online Bible study. This is only the second study I have been a part of and am looking forward to it. I have read the scripture and enjoyed your teaching from the kitchen. I do feel empty inside, exhausted, weary, and unsure of God’s plan for me. I plan to dedicate the time to daily devotion and to obtain a routine for “that quiet time” with God for him to speak to me. Thank you, Wendy, for this Bible study. Many years ago when we had our bible study meet at our home for a potluck, my mentor and friend pulled me out of the kitchen and gently, but directly said to me, “come Martha and join the group”. We were hosting the potluck to spend time with a couple who were leaving their home and careers in the States to be missionaries in an impoverished country. Whoa, I must admit, I was a bit hurt, and inwardly defending the fact that I NEEDED to be in the kitchen because no one else was helping! It has stuck with me ever since, and whenever I find myself feeling overextended and caught up in what I like to call my “martyr mentality”, I hear my friend’s words. It’s now been over 15 years since that potluck, and I still struggle with the busyness of life, and neglecting my time with the Lord – opening my Bible, praying, and relying on Him for all my needs. My lack of discipline and putting God as my first priorty is a continuous struggle for me. This study is a gift from Him – I feel blessed to be a part of it, and can only pray that I allow Him to use it to to grow me closer to Him! Peggy, I love this story!! I so identify with the words spoken by your friend and mentor. I hear those words often when I have company!! What a blessing to know God is using this study to speak to your heart. Thank you!! I am so happy to be a part of this wonderful bible study. I was in awe when I saw this opportunity on this topic. I recently started graduate school and lost my father all while juggling being a wife, a mother of a 3 year old little girl, and a full-time employee. I had become someone I could not recognize because I was so angry and empty. I made very little to no time to spend with Jesus. All of these factors I have contributed to not making time to spend at His feet. However, as I am journeying through this bible study I have realized that I was the reason that was holding me back. Making my family, my job, school and life’s circumstances my scapegoat made it so much easier than to look at myself and say “God made you this way and He loves you just as you are, but don’t let it get in your way of sitting at His feet.” It’s been a challenge, but I’m so thankful I’m making progress. 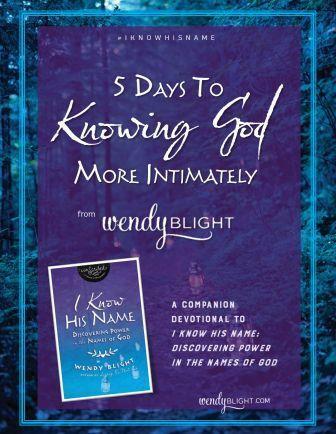 Thank you so much Wendy for allowing God to bring such a powerful bible study through you. Tia, I am so thankful the Lord brought you here just when you needed it most! He is so very FAITHFUL!! So thankful you are enjoying it! Working at your own pace is the best way to do an on-line study!! I have been so blessed with the study Quiet my anxious heart. It is so wonderful to set at Jesus’s feet and spend quiet time with him. I have such a peace this week, I have been doing devotionals and I have loved being in his word every morning. I feel stronger and I have needed this to get through some really rough times in my life. This is my first time joining one of your studies, and the timing is perfect for this grandma needing encouragement to make time to be in God’s Word. My son died several years ago, and my grandson was adopted by his maternal family, which seemed to be the best thing at the time. My now 15-year old grandson recently came to live with me with a history of abuse and mental health issues. I was just within weeks of becoming an empty nester, and then God filled my nest very full with this one child! I am so glad to have him hear but I am exhausted emotionally, physically, and financially. I have tried very hard to make time to stay in God’s Word by at least reading a devotional and the scriptures with it. But because I am usually exhausted, I was not really hearing God speak except to tell me I needed more of Him. I was becoming the person you described in your first video. 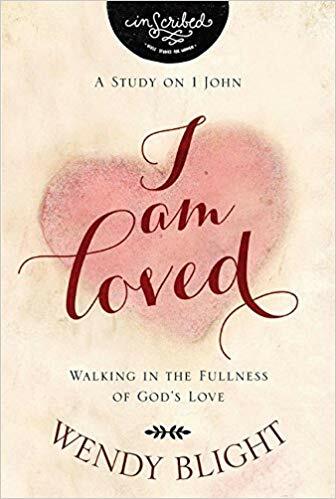 I knew that sincerely taking time to be with God was the answer but I need “directed” Bible study to really get the most out of them – and I needed God to provide the restful sleep if I took time in the morning to study. I found your study and it truly has been a blessing. I am beginning the process of adopting my grandson and God knows how badly I need to stay close to him to get through the legal, emotional, financial maze ahead. He has provided restful sleep even though I am getting less, and He continues to send me messages (like yours today) to not be anxious while I wait for Him to work it all out. Thank you for allowing God to speak through you. Patty, how wonderful that you are stepping up to raise your grandson. God laid on my heart for you His promise that He equips those He calls. He has called you to raise this young man, so He, Jehovah Jirah, God our Provider, will provide for your every need. I pray He will do it in an Ephesians 3:20 way!!! So excited to have you with us!! Oh my goodness, Wendy! God gave me confirmation tonight that He is providing – and I was told that it would be beyond what I could have ever expected or imagined. Praise the Lord – I am so excited, I will report back as it all unfolds! Praise God!!! Please do keep me posted. Great is His faithfulness!! !